to the Australian Society of Endodontology (ASE) pre-ADA congress meeting. As modern endodontic philosophies develop we have seen some shifts in the way we may view endodontic disease. This meeting is focused on the debates that are developing within endodontics and how to we might problem solve to prevent various modes of failure. 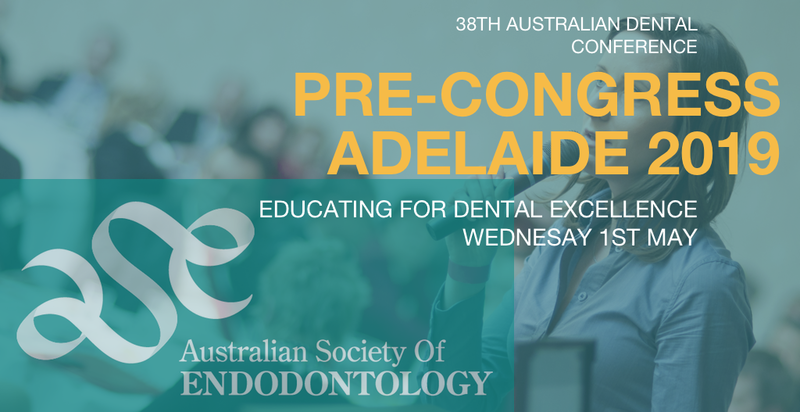 PRE-CONGRESS VENUE: The Adelaide Convention Centre on Wednesday 1st May, 2019. Receive reminders for our events by following us on Facebook. 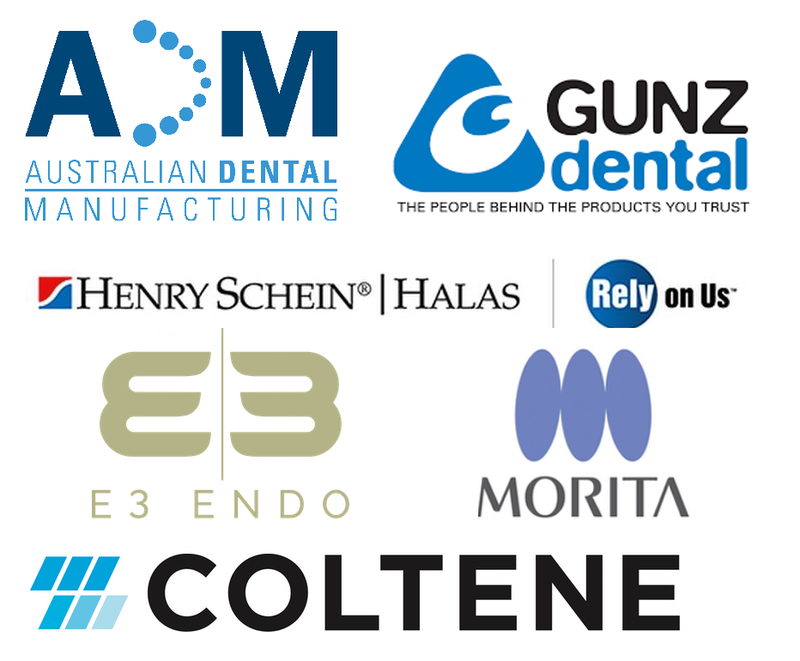 View the 37th Australian Dental Congress page on the ADA website here. All fees are quoted in Australian Dollars (AUD) inclusive of GST. Born and raised in Reykjavik, Iceland. Received his DDS from University of Iceland in 1988. Graduated from University of North Carolina (UNC) in 1992, with certificate in endodontics and Master of Science with emphasis on neurobiology and pain. Full-time faculty at UNC from 1992 until 2004 and served as the Graduate Program Director of Endodontics 1997 to 2004. From 2004 to 2012 he was in a private endodontic practice in Reykjavik, Iceland and London, UK. In 2012 he became the Chairman of the Department of Endodontics, NYU College of Dentistry. Additionally, he is an adjunct Professor at UNC. 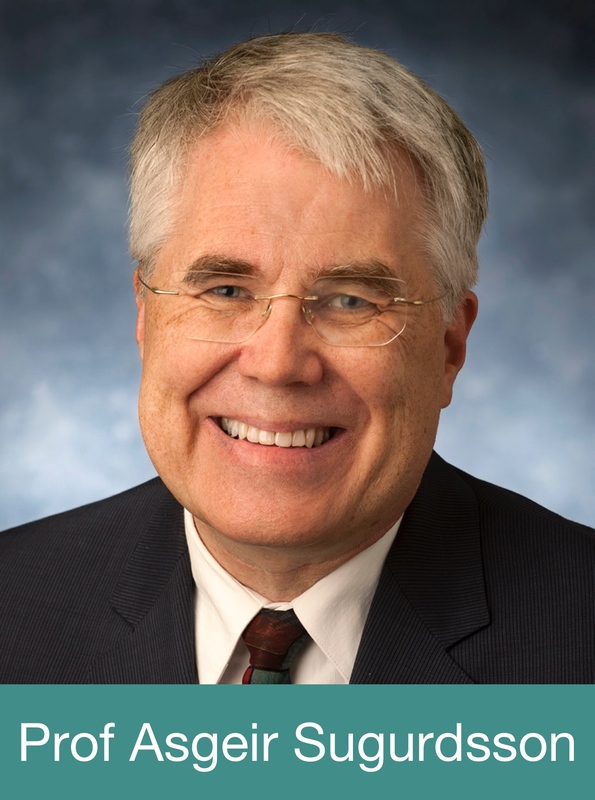 Dr Sigurdsson is a past President of the International Association for Dental Traumatology and in 2014 he was appointed by AAE as a Director of the American Board of Endodontics and currently is the Vice President of the Board. He serves on the editorial boards of both International Endodontic Journal and Dental Traumatologia. Dr Sigurdsson has been invited numerous times to lecture in 46 countries all over the World, on the topics of pain, endodontics, dental trauma and/or forensic sciences. He has written or co-written over 70 peer-reviewed articles and 19 textbook chapters on the same topics. This lecture will review the latest trend in endodontics, where it is advocated to do minimal access cavities and leave as much tooth structure untouched. Pros and cons of this approach will be discussed in some details. Additionally, the ultimate minimal endodontic procedure, vital pulp capping, will be presented and the literature reviewed for indications and contraindications reviewed and most common techniques and materials for both direct and indirect capping will be presented. • when it is possible or advisable to do a minimally invasive access preparation. • how to preform pulp capping procedures..
the most common reasons for failures of endodontic therapy. Emphasis will be placed on what the dentist could or should do to prevent failures of this nature by reviewing issues regarding diagnosis, access, root anatomy, instrumentation (including the proper selection and use of NiTi rotary/ reciprocating instruments) and obturation techniques. Multiple cases will be discussed in details and solutions found with the help of the audience. Patrick Caldwell is a registered specialist in Endodontics. He graduated in Dentistry with Honours from The University of Queensland in 1998 and then went on to work for the Royal Australian Navy, both ashore and at sea. During this time he undertook advanced training in restorative dentistry and in 2002 sat examinations and was elected a Fellow of the Royal Australasian College of Dental Surgeons. In 2003 Patrick began a three year, full-time training program in endodontic therapy and microsurgery, graduating with a Masters of Dental Science in Endodontics. He has since gone on to complete additional advanced training, graduating with a Masters of Clinical Dentistry in Implant Dentistry. In 2006, he returned to work with the Royal Australian Navy and was also engaged as a Visiting Specialist at the Sydney Dental Hospital. In 2009 Patrick moved to Shanghai, China where he was the only Endodontist in a city of 21 million people. 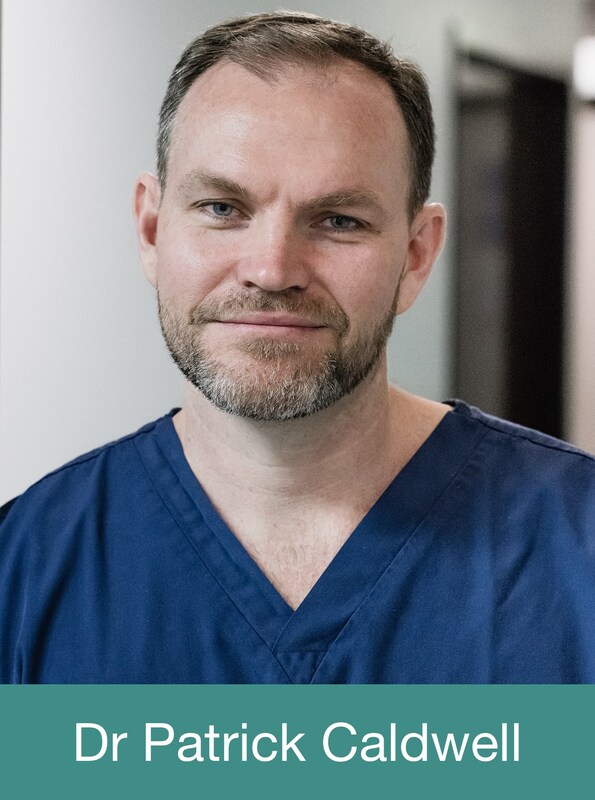 In late 2010, Patrick returned home to Brisbane and established Brisbane Microsurgical Endodontics. He is involved in teaching at Gri th University and has conducted courses both nationally and internationally to help general dentists improve their endodontic skills. Overdiagnosis. Could endodontics be harming the healthy? evaluated within the overdiagnosis framework.